Wearing breathable clothing is a must since it’s hot in the Philippines year-round. Don’t be afraid of bringing long pants or shirts! Having long-sleeved/legged clothing in the right fabrics (linen and other light materials) can keep you cool while also protecting you from mosquitoes and sunburn. Most of our time in the Philippines was spent in swimsuits. You’ll be at the beach, by the pool, on a boat, snorkeling, diving, etc., so you’ll be practically living in your swimsuits all day. Flip flops are the best footwear for all the sand and water you’ll be around in the Philippines! Bring a durable pair that can withstand the rough terrain and water. We both always use our Indosole flip flops. They're made out of upcycled rubber tires which makes them not only eco-friendly, but also incredibly comfortable and sturdy! Water shoes are essential for cliff jumping, exploring waterfalls and walking on beaches (we found hundreds of sea urchins lurking near the shores). Opt for comfortable water shoes that you can walk around all day in or walking shoes that you don’t mind getting wet and dirty. Many stores and accommodations also require that you take your shoes off before entering so pick a slip-on pair to get in and out of buildings quick. These slip-on shoes by Tiosebon are extremely comfortable and perform well both in and out of the water. Protect your eyes and precious face from the sun! Don’t bring an expensive pair of sunglasses in case they get damaged, stolen or accidentally flung off a boat! We visited during the dry season and it rained almost every single day of our 6-week trip. Don’t let the words “dry season” make you think you’re safe. Bring a compactable rain jacket that you can keep in your backpack or scooter at all times because when it rains in the Philippines, you’ll be drenched within 2 minutes. You’re heading to a tropical destination so it’s easy to forget a sweater. Don’t forget it! The buses, ferries and planes all love to blast their air-conditioning and you don’t want to be sad and shivering on a 5-hour bus ride. Sunburns happen ridiculously fast in the Philippines, especially while out on the water. Bring a small sunscreen that you can carry around at all times! Make sure that it’s reef-safe like this one so you don’t harm the beautiful corals while snorkeling and swimming! My favorite face sunscreen is this one by Coola. The lightweight formula has the most luxurious, velvety texture and doesn't make your face feel greasy like most sunscreens. Day or night, you’ll find mosquitoes everywhere in the Philippines! They carry Dengue, Malaria, and other nasty illnesses so bringing mosquito spray is extremely important! We personally hate the smell and feel of DEET repellants and have had great results with this all-natural repellant! Expect to be on plenty of boats and ferries, and the waves can get really rough. If you tend to get sea-sick definitely don’t forget to bring some sea-sickness pills with you. The tap water isn’t drinkable in the Philippines, but this magical device can provide you with free, safe drinking water wherever you go! Plus it will reduce the use of plastic water bottles, and you don’t want to contribute to more of those ending up inside of a beautiful whale shark! With all the boat tours in the Philippines, you’d be surprised by how few provide you with towels. A few of our accommodations also didn’t provide towels! Bring a small, quick-drying towel so you can guarantee that you won't have to air-dry under the Filipino sun. The Philippines has two types of plugs: American style and European style. I still can’t make sense of which type is present in which parts of the Philippines, sometimes the same city or even building would have both types. Get a universal adapter to make your life easier. This one has a bunch of usb plugs so you can charge everything you own at once (great for those pesky accommodations that only have one outlet in the room). With abundant power outages and full-day trips, you’ll want a reliable power bank to keep your devices charged so you can document all the beauty of the Philippines! Never did I think dry bags were essential until visiting the Philippines. On several of our boat trips (especially in Palawan), our boats couldn’t get close to shore and we had to jump out and swim for 15 meters. If you want to bring your camera, phone or towel with you, definitely invest in one of these guys. If your phone is the only item you really need to keep dry, or if you’d like to use your phone as an underwater camera, get a waterproof phone pouch instead of a dry bag. The Philippines are really as magnificent underwater as they are above water. Bring a GoPro or other underwater camera so you can document the gems you discover under the sea. If you want to get those awesome over/underwater shots, invest in a Go Pro dome port as well. 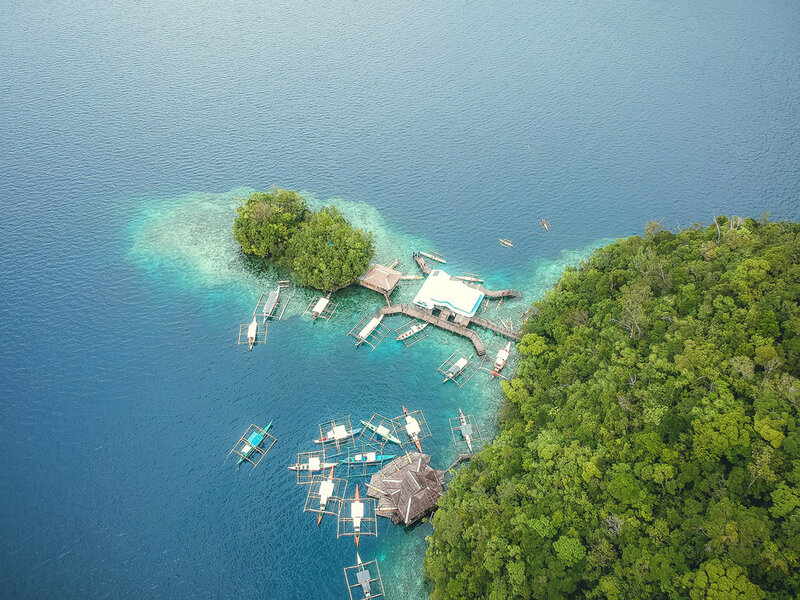 The Philippines are made up of over 7000 islands, both minuscule and large and the landscapes they form are out of this world. If you’ve been thinking about getting a drone or already have one, bring it to the Philippines! You’ll be able to see the wonderful land formations like most tourists can't. We recommend the DJI Mavic Air for drone beginners. This might be the best thing you bring with you. Traveling around the Philippines requires many boats and flights and having a single cancellation could cost you hundreds of dollars or more. 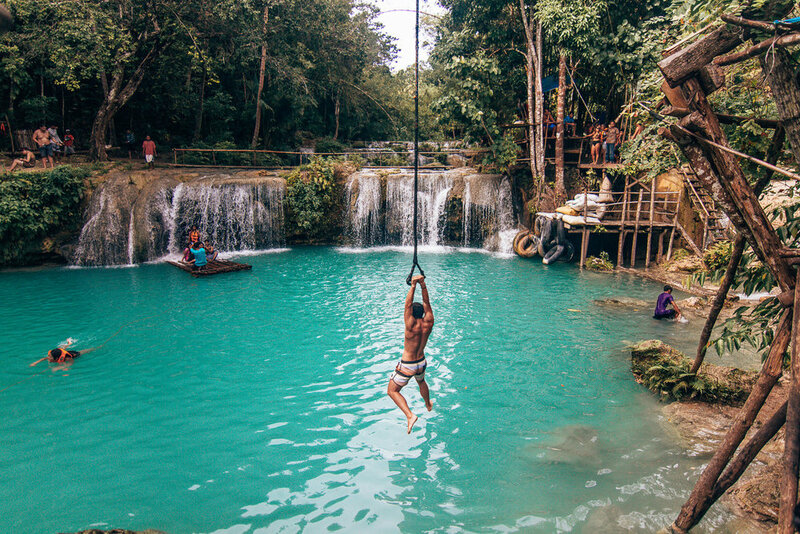 We use World Nomads and can rest easy knowing that everything is covered in case something goes wrong (like if you were to hypothetically crash your drone into a waterfall).